It's always fun to go back and watch 1983's Krull, directed by Peter Yates, written by Stanford Sherman, and starring Ken Marshall as Prince Colwyn, the hero king who sets off on a quest to rescue his bride and his kingdom from an evil creature known only as The Beast. Fun to watch mostly because of the nostalgia that accompanies such viewings, Krull is not, standing alone, a masterful cinematic achievement. Indeed, it has not aged well. But part of the joy of revisiting the film is to see how awful special effects were in the early 1980s. And boy, were they awful in this film. Truly, truly bad. 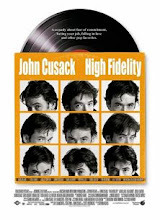 The best part about the film is its powerful and inspiring score, done by composer James Horner. 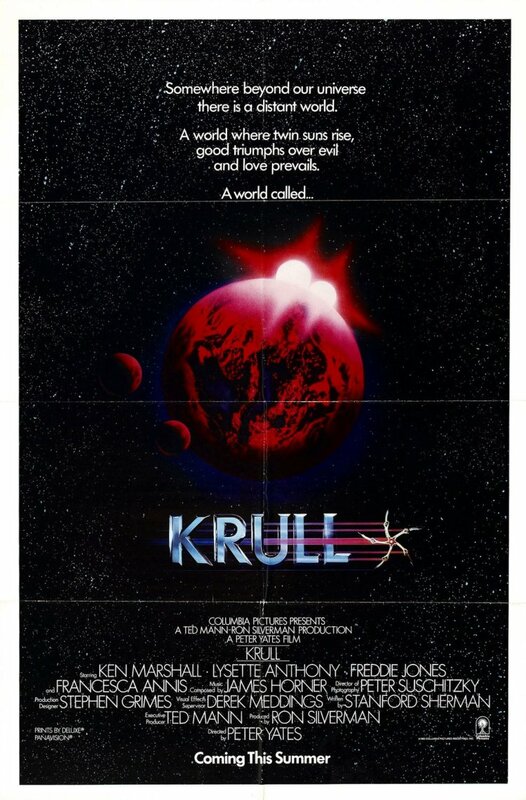 But the most curious thing about Krull is attempt to mix the then fashionable space opera genre with the always familiar fantasy genre. Perhaps the pitch meeting went something like this: "It's Star Wars meets Lord of the Rings. Yeah, that's the ticket." And in many ways, it is an attempt to combine those two films, but the sum is far, far less than the parts assembled to make it. It's set in your typical sword and sorcery fantasy kingdom. There's no technology; there's certainly no way to communicate with faraway friends. People live in small villages or large castles. Humans fight with swords or axes. Magic exists. You know the drill. But The Beast, the enemy of the world, is from OUTER SPACE. That's right. Did you remember that part? His large, menacing mountain fortress is actually a spaceship which carried him to Krull, which is the name of the planet on which the film takes place. A mighty and powerful creature known only as The Beast lands on this relatively primitive planet in his immense spaceship, and no one seems fazed by that fact. Sure, they are scared of The Beast, who's one bad dude, but they don't seem the least it concerned that this villain came from a galaxy far, far away. In fact, the citizens of the planet Krull had actually heard of The Beast before his arrival, despite the relative lack of satellite technology, television, or a Krull version of the Internet. So how do they know about the Beast before he arrives on Krull? It's not like they have their own Krull version of NASA. Oh, well. It was 1983.